This was my 1st visit to this doctor. I had no expectations, but was pleasantly surprised at the professionalism displayedby the entire staff. Very courteous, polite, friendly and professional. My visit was a pleasure and I look forward to next year's visit. This was my 1st visit to this doctor. I had no expectations, but was pleasantly surprised at the professionalism displayed by the entire staff. Very courteous, polite, friendly andprofessional. My visit was a pleasure and I look forward to next year's visit. Great people, from the receptionist to the doctor to the optician. Personable, but won't talk your ear off. The doctor actuallylistened! We offer everything from comprehensive eye exams to the latest in surgical techniques. All our services are focused on you, our patient. We are committed to total patient satisfaction with convenient hours and state-of-the-art care. 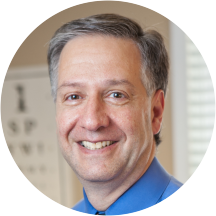 The South jersey Vision Center has only one goal; to provide you with surgical and medical eyecare unsurpassed in Quality, Service, Expertise and Value. At South Jersey Vision Center, you'll find a wide array of vision services. We offer everything from comprehensive eye exams to the latest in surgical techniques, as well as a complete optical department for all your eyewear needs. Most important, all our services are focused on you, our patient. We take pride in our commitment to total patient satisfaction. That includes: Convenient hours; State-of-the-art care; Well-trained, certified staff; Knowledgeable help with insurance claims. At South Jersey Vision Center, all of us stand ready to meet your needs - promptly, courteously and professionally. If you have any questions or concerns, please tell us. Your comments are important, as they help us to continue to improve our service to you. If you are happy with your care, please tell your friends. New appointments are always welcome! Very thorough. Very professional. Extremely pleased! Fantastic doctor. Took time and explained everything to me. Very meticulous and careful. Dr Kamerling is good, moves right along, staff is very friendly! Great eye dr - efficient with exam and very nice!